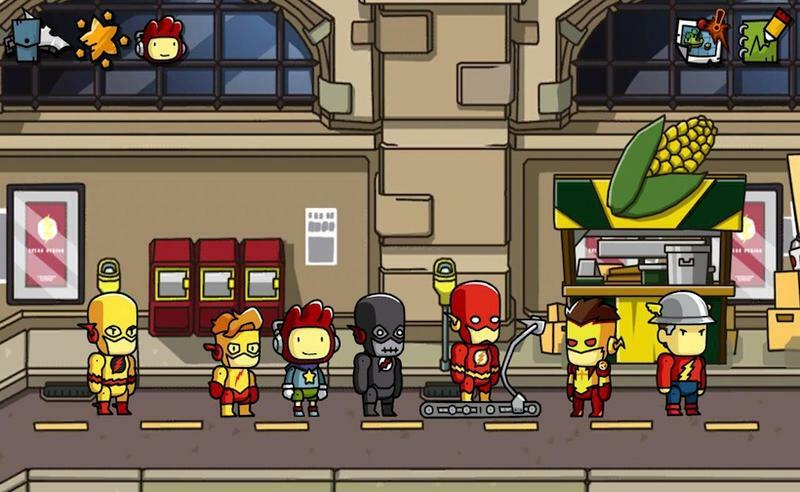 Warner Bros. and 5th Cell have confirmed a release date for the DC Universe inspired Scribblenauts Unmasked. Comic fans around the world will finally be able to pit Cthulhu against Superman, Batman, or any one of the 2,500+ DC characters available with the game on September 24th. Traditionally, summoning Chuthlu was the best possible solution for any Scribblenauts puzzle, but now that Scribblenauts Unmasked grants "ultimate access to the vast lexicon of DC lore and literature," one of Superman's 14 versions might prove to be even better. Too bad I'm not a walking encyclopedia of DC lore or else I might actually be able to summon them all, but knowing 5th Cell, I am quite sure I'll at least be able to summon communist Superman from Red Son. Scribblenauts Unmasked is being released for the Nintendo 3DS, Wii U and PC on Sept. 24th. It's a bird! It's a plane! It's Superman and all his alter egos across the DC Multiverse! Hurtling towards Earth on Sept. 24, 2013 from Warner Bros. Interactive Entertainment and 5TH Cell, Scribblenauts Unmasked – A DC Comics Adventure gives players ultimate access to the vast lexicon of DC lore and literature. We wanted to give you the Daily Planet scoop with the below infographic showing off 14 variations of Supermen that players will have access to in the game, including Classic Superman, Red Son Superman, Kingdom Come Superman, Speeding Bullets Superman and more! Scribblenauts Unmasked – A DC Comics Adventure is a new game that melds the boundless creativity of the award-winning video game franchise with thousands of DC Comics characters and objects across DC Comics worlds – all drawn in the classic Scribblenauts art style. The game features a story where players embark as protagonist Maxwell on an imaginative and comical quest, taking them through Gotham City, Metropolis, Atlantis and other iconic locales from the DC Comics universe. Fueled by the player's imagination, Maxwell must use his magic notebook to put a stop to the villains' evil schemes and save the day! Scribblenauts Unmasked – A DC Comics Adventure will be available on Sept. 24, 2013 for Wii U, Nintendo 3DS and PC.